Has underground house finally run out of ideas? Love it or hate it, lo-fi house has been the all-permeating sound of the underground in 2016 – but a recent batch of artists have been discussed more for their jokey names and apparently ironic attitude to the scene than their music. Has underground house music run out of ideas? Last month, a deep house track started to follow me everywhere I went on YouTube. It would have faded into the background had it not been for the fact it was by an artist called DJ Boring and features an image of ‘90s icon Winona Ryder as its label. At the time of writing, ‘Winona’, which samples an interview with the actor, has had over 445,000 plays on YouTube. It probably doesn’t hurt that it comes off the back of a wave of Winona Ryder nostalgia thanks to Stranger Things, but it’s still a huge number for an unknown artist working in a micro-scene that’s currently referred to as “lo-fi house”. The alternative to big room house music has gone by many names – outsider house, knackered house and raw house are a few – but over the past several months this evolving sub-genre of music appears to have reached saturation point. Both Whities boss Nic Tasker and Joakim have remarked that there’s too much “jazzy” and “cute” lo-fi house at the moment, while Midland has suggested it’s more concerned with style than substance. “If a record has a photo of nature taken on a film camera as its centre label, it is lo-fi house,” he quipped on Twitter. It’s not just DJ Boring that’s caught my attention this year. Ross From Friends and DJ Seinfeld are two more artists making fuzzy house with names that don’t appear to take themselves too seriously (the former has written a track about pasta called ‘Durum Wheat’). Florida-based Blair Sound Design, who runs a coffee-themed label called French Press Lounge, fuses video game box art, old school record label imagery and vaporwave-like typography on his sleeves, and refers to his music as “cheap house” on SoundCloud. The closest comparison might be the music of L.I.E.S. or Mood Hut, but while those labels attempt to create underground authenticity through a punk attitude or simple anonymity, the current wave of lo-fi producers lean on humor and irony in an attempt to be staunchly anti-authentic. This attitude has attracted criticism from some quarters. Recently, The Quietus journalist Christian Eede said: “Calling yourself DJ Seinfeld or Ross From Friends or whatever instantly devalues your work to me… the very idea of a load of guys (it’s always guys) just tossing out work in this way screams mediocrity and laziness to me. It permeates so much ‘lo-fi house’ in which people seem to have no original ideas.” My FACT colleague Chal Ravens has referred to certain lo-fi artists as “spoof house” – not just for their names and MS Paint record art, but for the cartoonish MIDI melodies and cheap drum machine rhythms, all of which come together to suggest that the whole thing might be a joke at the listener’s (or more “authentic” artists’) expense. As far as DJ Seinfeld is concerned, his approach to making music is serious, even if the manner in which he presents himself isn’t. “My personal opinion is that if you are a music critic, focus on the music first. Then you can have your quarrels about the artist name, but it’s really a boring topic for me,” he tells me over email. “I really like the whole tongue-in-cheek approach that many have in the [lo-fi] scene, including myself. It is refreshing for sure, and I think it’s a nice contrast to elements in club music culture where I suspect some artists work more on their character than their music.” DJ Boring is a relative newcomer with only a few tracks to his SoundCloud, but he tells me over email that he’s been making music since he was 16 years old, and that it’s “a big part” of his life. Ross From Friends declined to be interviewed for this feature via his manager, which should tell you all you need to know about how seriously he takes his career. Despite its critics, lo-fi house is hugely popular. DJ Boring tells me that one of the biggest influences on his music is London’s Lobster Theremin label, which in just a few years has become one of the most popular vinyl destinations for listeners who love their house and techno lo-fi (though it does explore other styles across its discography and myriad sub-labels). A YouTube channel called Slav is one of the biggest places online for discovering the sound, a kind of Eton Messy for lo-fi house, without the misogynistic imagery to help drive the huge numbers that have made ‘Winona’ so ubiquitous. (For comparison, the top YouTube result for Midland’s ‘Final Credits’ – widely held to be one of the year’s defining house anthems – has just under 16,000 views.) There’s also a Facebook group called Strictly Lo-Fi, and you can even buy a lo-fi house sample pack, a sure sign that a trend has reached the mainstream – or run its course, depending on how you look at it. If you’re willing to look past DJ Boring’s name and the fact that ‘Winona’ is geared to an audience for whom memes are as valuable as vinyl-only 12”s, you’ll find an enjoyable deep house track that’s not as lo-fi as the genre name suggests. 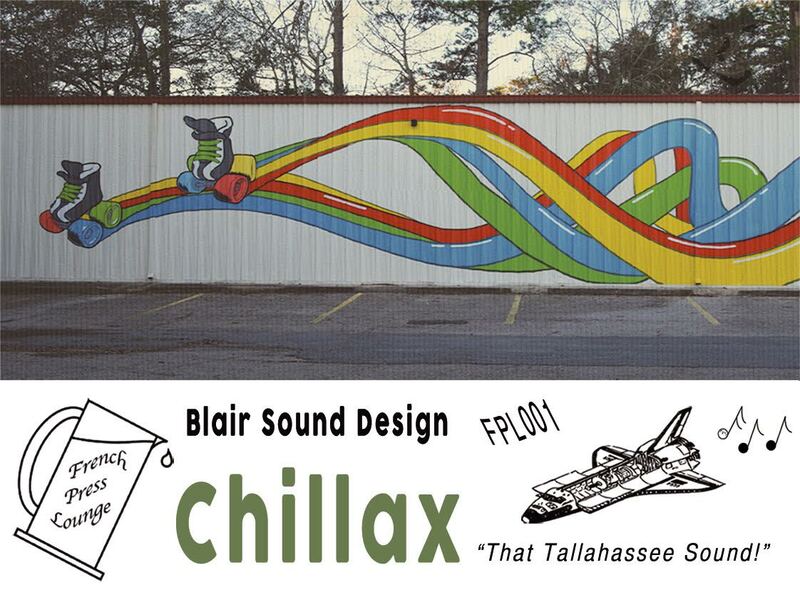 Blair Sound Design’s ‘Chillax’ 12” uses video game samples in a way that offers a neat twist on the irresistible formula Mood Hut has made its own. But this scene (as with outsider house before it) is not exactly diverse. In contrast to the current experimental club scene headed up by artists such as Lotic, Ziúr and the NAAFI collective, lo-fi producers are almost exclusively white and male. 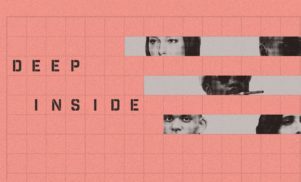 It would be easy to say that these artists will be judged on the quality of the music and not their names, but while the music is arguably better than you’d get from the average Ibiza tech-house DJ, the lo-fi scene is currently still a microcosm of the diversity issues that affect house and techno as a whole. Read next: Are we in the middle of an IDM revival?